Devialet, a critically acclaimed inventor of new audio technologies from France, is introducing three sophisticated and elegantly designed audiophile-quality audio systems at this year’s CES – the Devialet 240, Devialet 170 and Devialet 110. Radical in conception and design, the Devialet audio system, expressed in three different offerings, effortlessly delivers accurate, precise and, most of all, emotionally resonant music. Made for the Web generation as well as audiophiles and music lovers without audiophile ambitions, the Devialets are also software-upgradable, ensuring a long life and high value for purchasers’ investments. Made in France and milled from single blocks of aluminum, the Devialet 240, Devialet 170 and Devialet 110 and their remote controls are distinctively shaped and polished to a stunning Black Chrome mirror-finish. Their slim, rectangular chassis and sleek square remotes are unlike any others in the industry, and represent a radical esthetic that reflects the level of Devialet’s technological inventiveness and pitch-perfect audiophile reproduction. Whether placed on a table or mounted on a wall, the Devialets provide visually arresting centerpieces for both compact and expansive music systems. Highly sophisticated yet remarkably easy and intuitive to operate, they support a broad range of speakers, CD players, turntables and digital music sources and components as well as Internet-based programs and services. A patented core called Analog Digital Hybrid (ADH), designed to create an original standard of quality, seven years in research and development. Floating-point integral digital processing of Devialet’s 192-kHz/40-bit signal. A very short circuit path between its systems’ built-in and patented Digital Analog Converters (DACs) and loudspeaker connections. A lossless current path between the DACs and built-in Class-A amplifiers. A patented 600-Watt switching supply with a peak value of 2,500 Watts. The Devialet 240 combines a powerful and patented ultra-linear Class-A amplifier with a built-in DAC and a range of sophisticated digital capabilities. The amplifier serves two channels at 240 watts each, with the power adjustable down to 50 Watts through an online configuration tool. 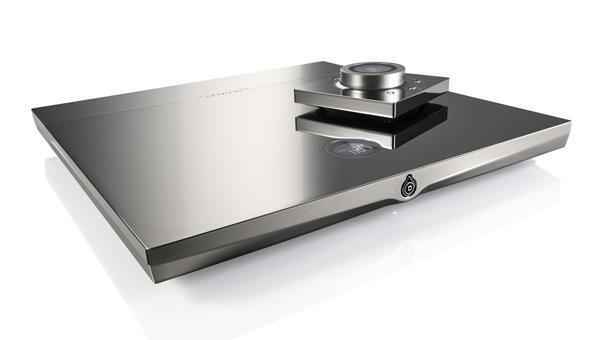 It can also be configured as a 500-Watt monoblock amplifier, and daisy-chained together with up to seven additional Devialet 240s. An asynchronous Wi-Fi streamer permits Devialet AIR-Bit perfect streaming of any data stored on or played by a computer, a smart phone or a tablet using any format up to 24 bit/192 kHz. Additional features include the ADH core, a low-jitter, ultra-high precision clock, and a switchable mode power supply. The Devialet 240’s hidden rear panel includes Ethernet, digital S/PDIF, RCA, XLR, HDMI, USB, Toslink, an RS232 trigger, phono (both standard and configurable types) and analog line connections, plus a subwoofer output with a cut-off frequency adjustable through Devialet’s online configuration tool. It also comes supplied with a remote control with a unique — but very familiar volume knob, and an SD card [for upgrades]. The Devialet 170 offers the best of both worlds: cost and performance. It also combines a powerful ultra-linear Class-A amplifier with a patented DAC and a range of sophisticated digital capabilities. The amplifier serves two channels at 170 watts each, with the power adjustable down to 50 Watts through Devialet’s online configurator. 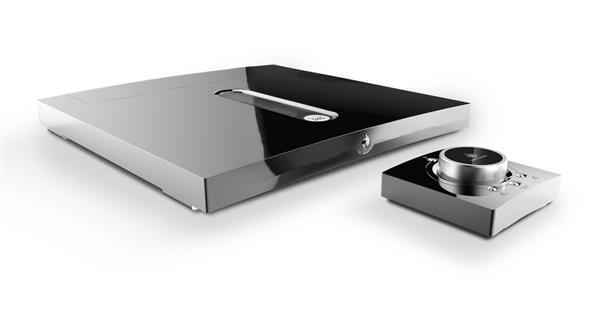 Devialet’s asynchronous Wi-Fi streamer, installed on the Devialet 240, is also standard on the Devialet 170. Additional features include a low-jitter, ultra-high precision clock, Devialet’s proprietary ADH core, and a switchable mode power supply. The Devialet 170’s connection package is comprehensive and wireless-ready. It includes Ethernet, digital S/PDIF, RCA, XLR, HDMI, USB, Toslink, an RS232 trigger, phono (standard and configurable) and analog line accommodations, plus a subwoofer output with a cut-off frequency adjustable through Devialet’s online configuration tool. The unit also comes with a remote control with a built-in volume knob, and an SD card. The more affordable Devialet 110 similarly combines Devialet’s powerful ultra-linear Class-A amplifier and patented DAC with a range of sophisticated capabilities. The amplifier serves two channels at 110 watts each, with the power adjustable down to 50 Watts through Devialet’s online configurator. Devialet’s asynchronous Wi-Fi streamer, standard on the Devialet 240 and optional on the Devialet 240 and Devialet 170, is also now standard on the Devialet 110. Additional features include a low-jitter, ultra-high precision clock, Devialet’s ADH core, and a switchable mode power supply. The connection package includes Ethernet, digital S/PDIF, RCA, HDMI, USB, Toslink, an RS232 trigger, analog line, and phono accommodations. The unit comes with a remote control with a built-in volume knob, and an SD card. All three Devialets can also access free software applications that further expand their capabilities. The key app is Devialet AIR, the company’s Universal Wi-Fi streamer for MacOS and Windows-based systems. It plays any content or live stream from a computer and is compatible with all player formats, including iTunes, VLC, WMP and the like, and all Internet radios and online services like Pandora, Spotify, Deezer, Qobuz, Wolgang’s Vault, Tunein, Opeo and thousands more. A second free program, the Devialet Remote App, adds volume and source control, and music file streaming for iOS and Android-based smart phones, tablets and other devices. The Devialet 240, 170 and 110 are available now from authorized dealers at suggested prices of $17,495, $9,495 and $6,495 (US MSRP), respectively.